Greg, of Mustang, OK; she is also survived by her grandson Brian LaPat and his wife Julie of Piedmont, OK, and grandson Billy Woodcock of Venice Beach, CA. Mildred was a loving wife, mother, grandmother, and great grandmother. She had 11 great grandchildren Dustin 21, Danielle 20, Benji 19, Daisy 17, Ella 15, Rico 12, Nick 10, Bear 10, Lucy 8, Boaz 5, and Emmanuel (Manny) 3; all of which survived her. Her home was always open, and rarely empty; it was always full of friends and family sharing joys and concerns and well kept secrets. As soon as Mildred met you she claimed you as family including you in holidays and family gatherings. Mildred and Doug hosted a Christmas Eve Open House for family and friends for over 50 consecutive years. Her home was always open and full of love. Every holiday, birthday, and anniversary found her in the middle of great joy and celebration. Even in difficult situations her family found comfort in the Lord with Mildred. To send flowers or a remembrance gift to the family of Mildred Irene Mosher, please visit our Tribute Store. 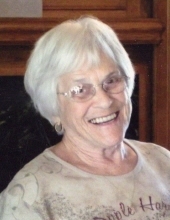 "Email Address" would like to share the life celebration of Mildred Irene Mosher. Click on the "link" to go to share a favorite memory or leave a condolence message for the family.